At the United Nations General Assembly high level meeting on disabilities, global music icon and UN Messenger of Peace, Stevie Wonder, met with Vietnamese advocate and performer Nguyen Phoung Anh, ‘Crystal’, to push jointly for greater inclusion for children with disabilities. Crystal shot to fame thanks to her audition for Viet Nam’s Got Talent that inspired millions with her singing. This year’s historic high level meeting on disabilities at the General Assembly is demanding international action to invest in children with disabilities and to include people with disabilities in the global development agenda. The UN meeting attracted diverse participants with including those with and without disabilities. Stevie Wonder made a plea for technology to be made available to all people with disabilities. In the meeting with Phoung Anh, – or ‘Crystal’ as she calls herself due her brittle bone disease or Osteogenesis Imperfecta – he spoke about their common spirit and commitment to break down barriers for those with disabilities. 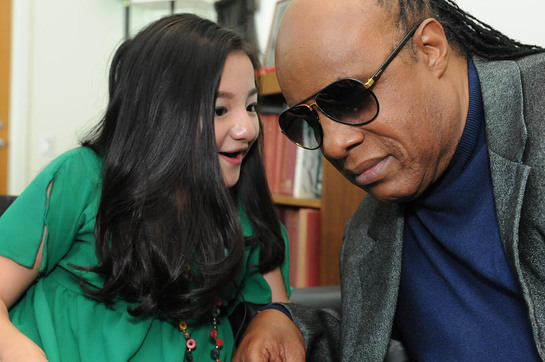 “What’s really important is for everyone with disabilities or others, is to be able to live in a society where miracles happen like Stevie Wonder – and he is a wonder,” said 16-year old Crystal, who travelled from Vietnam for the event. "I think with support some developing countries, like Vietnam, who have not yet ratified the Convention on the rights of the People with Disabilities, should really consider ratifying and make things happen. " 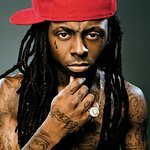 Wonder, who became a singing sensation when he was a child, and Crystal, the teenage singing sensation, hugged, exchanged telephone numbers and promised to keep in touch. “No one should be excluded because they’re blind, or because of any disability or because of their status or their colour,” said Mr. Wonder. "We cannot allow our differences to let our fear put dreams to sleep. This young lady – Crystal – did not. " For those living with disabilities, Monday’s meeting is a milestone on the road to Sustainable Development Goals, the new post-2015 U.N. goals to fight poverty, promote equality and inclusion. Among its key recommendations to the high level meeting, UNICEF has urged countries that have not yet done so to ratify and implement the Convention on the Rights of Persons with Disabilities, and the Convention on the Rights of the Child (CRC). Currently 127 countries and the European Union have ratified the CRPD. In the 2013 State of the World’s Children report, launched in Vietnam in May with Crystal, UNICEF highlighted that while children with disabilities face widespread poverty, discrimination, violence, and exclusion, including from education, all society benefits when it focuses on what children with disabilities can do, rather than what they cannot do.